The most impressively structured wine of the Joblot portfolio, this will please in youth but wow with age. A similar effect has this drug - this is generic based on sildenafil This is deep-fruited (quite black) with a firm structure and long finish, the sort of wine that can only embarrass its more expensive contemporaries further north. 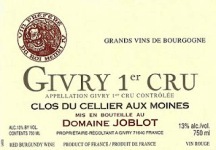 Indeed, many commentators suggest this cuvee, in particular, rivals the best of Chambolle-Musigny.